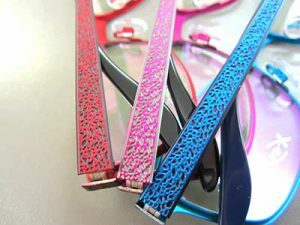 We carry a large selection of fashion and designer frames to suit all tastes. Much of our frame stock is also aimed at the young (or young at heart). Our smaller frames are also particularly useful for adults with smaller than average heads. Take all the time you need looking at frames. There is always someone to help if you want it but if you would prefer to choose with a friend or by yourself, that’s fine too. You are welcome to take a photo on your phone or iPad and this is a great way to see how you will look in your new glasses. Most practices have a basic range that is either inexpensive or even free (with an NHS voucher). This is usually a cheaper range, produced in bulk, a one (or two) size fits all range. 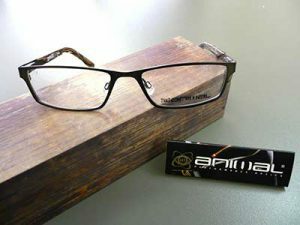 If you are on a budget and have an average sized head these frames will do the job. They are usually utility frames of reasonable strength and simple design. They will not usually fit people with very large or small heads, narrow or broad noses or those requiring particularly long or short sides. The word “Designer” is often used to describe any more unusual frame, and some well known designer names may be more usually associated with perfume or clothes. 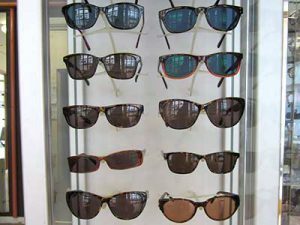 Sports brands are appearing increasingly and the optical industry has some designer names of its own. 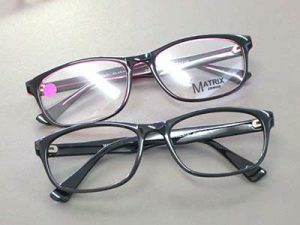 Often these are extremely good quality well designed frames that look good and wear well. They are an option well worth exploring even though you may not recognise the name. We all like to buy new clothes for different occasions. And we buy different shoes and accessories to complement those clothes and make a complete outfit, a complete image. So why not think of your glasses in the same way. A very versatile accessory that can instantly change your look and the way that others perceive you. You have to wear glasses so why not use them to your advantage. Protect your eyes during sport and in the sunshine by getting a pair of prescription sports glasses or sunglasses. 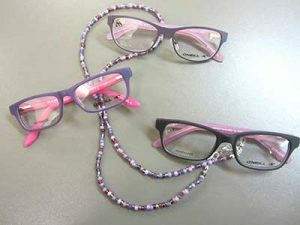 Complete your look with jewellery and spec accessories that match your glasses. See the accessories tab for our fabulous range of hand-made Bojangles earrings, bracelets and glasses chains.